Step to Success: A step to your success is anything that moves your life and your business forward. Whether it’s an app, a book or an idea, you can apply something today that will hep you succeed. Today’s step is an Instagram tool called Onlypult. Freestyle Flow: Memories of my first car in college and Catholic school uniforms came to mind while driving to get boba drinks with my son. Have something to write on whether it’s paper, your phone, or your computer. Don’t judge what you write. You need to be okay that it might or might not make sense later on. Leave your ideas alone for a while. 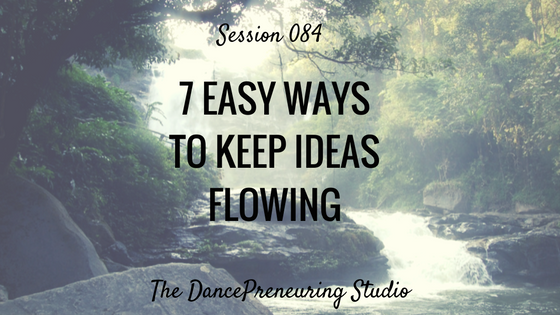 Don’t be afraid to get rid of notes and/or ideas. Information can get outdated. Stop multitasking. Check out this article on the dangers of multitasking. Scan your handwritten notes and put in Google Drive, Dropbox or Evernote. Take some quiet time to think. It’s okay to not always feel like you need to be in motion.